Do you still need to be convinced about the potency and power of autoflowering strains? Here is your chance to try 3 of the best strains in one great mix pack! 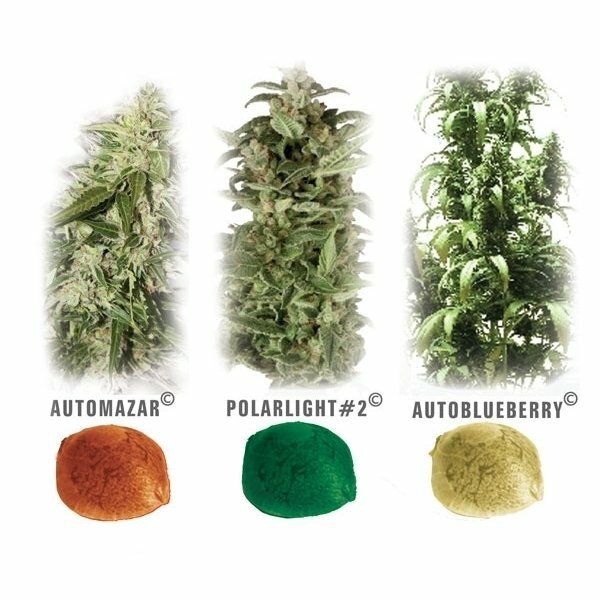 Colour Mix 6 Autofem by Dutch Passion is the perfect mix pack to try out some top-quality autoflowering strains. Dutch Passion has made it so easy for anybody to grow these excellent strains that it would almost make you lazy. 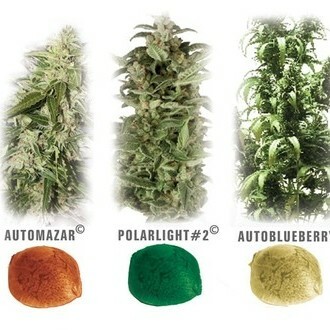 Automazar: This is the autoflowering crossing between the great, award-winning Mazar and the Ruderalis. This magnificent mix of Afghan and Skunk genes needs only 11 weeks to finish from seeding and is a guarantee for a nice yield with sticky nugs. Automazar by Dutch Passion is a very gentle tasty smoke and provides you with a deep and pleasant physical effect. PolarLight #2: This is the strong cross between a Dutch Haze and the Ruderalis and is considered a very easy-to-grow and resistant plant for beginners as well as the more experienced- and commercial-growers. She is very rewarding because of her medicinal capabilities and fast finishing ability. PolarLight #2 has a nice hazy flavor and gives you a very long-lasting high mixed with a pleasant body stone. Autoblueberry: This is the tasty crossing between the Blueberry and the Ruderalis and is mostly appreciate because of her excellent taste and fantastic results. She creates a beautiful purple’ish color during flowering and needs only about 10 weeks to be harvested. Dutch Passion’s Autoblueberry is a smoke you have to experience. She has a nice combination of a very pleasant high and a surprisingly strong body-stone.